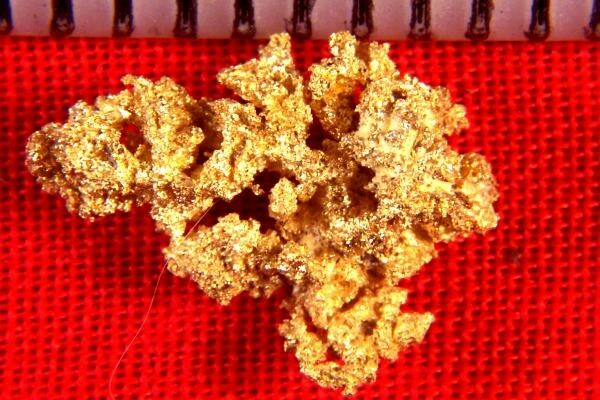 This is a rare sponge gold nugget from the famous 16 to 1 Mine in Alleghany, Sierra County, California. Sponge Gold Nuggets are called that because they have the look and characteristics of sponges, with a coarse surface and a honeycombed structure. 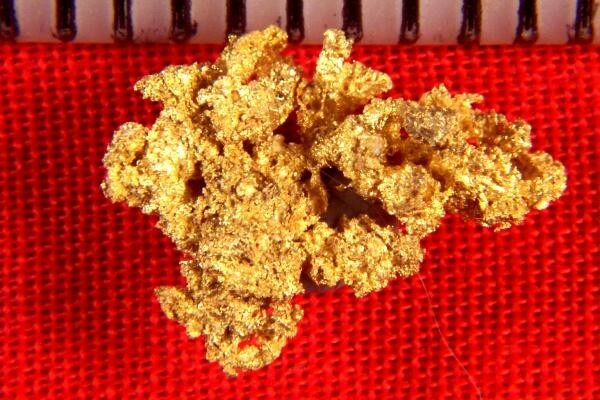 This beautiful and rare gold specimen is 1/2" long and it weighs 12.7 Grains (0.83 Gram). A real nice crystallized sponge gold nugget specimen for the price.